Morgan James Publishing, 9781630472917, 306pp. How do you know with certainty that your business is as profitable as it could be? 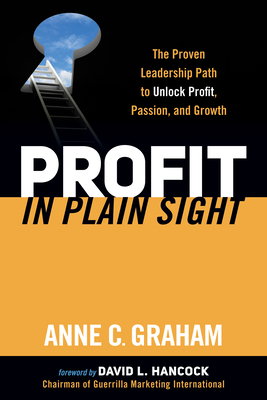 Anne Graham is the syndicated radio show host of Solutions in Plain Sight, and has earned Speaker of the Year accolades from the CEO peer mentoring group TEC/Vistage. She has served as an Executive in Residence at the University of British Columbia, as the Assistant Dean of Executive Programs at UBC, and has taught extensively in the award winning MBA program. She served as a Director for many years with the Canadian Manufacturers and Exporters Association and as the Vice Chair of the Burnaby Board of Trade. Anne was first named to the list of who s who in Canada in 2004."